Flamingo beach is situated in the province Guanacaste, in the northern of Costa Rica. And today Playa Flamingo is one of the most popular beaches in Costa Rica. 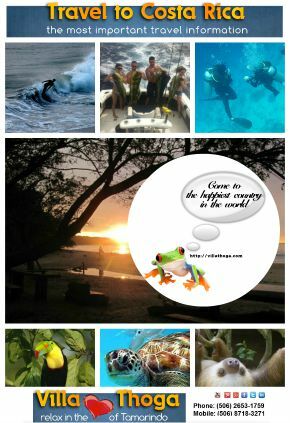 Located only a few kilometer from Tamarindo. The beach comes with stunning, fine white sand. Well known for his world class fishing! In Flamingo we work with 5 licensed captains and their crews. 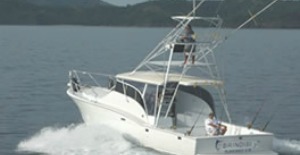 All captains have extensive experience fishing in Flamingo beach Costa Rica. 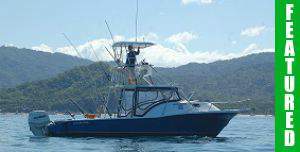 Our Flamingo bay Costa Rica fishing charters provide a high quality fishing experience for people of all ages. If you plan to vacation in Flamingo you made a very good choice. You’ll be amazed what Playa Flamingo has to offer. All the amenities you reach within minutes. Only a short walking distance to banks, pharmacy, coffee shop, souvenir shops, restaurants, shopping, beauty salon and more. 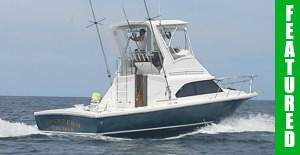 I want to reserve a fishing charter fort the next week. When I have to pay the tour? 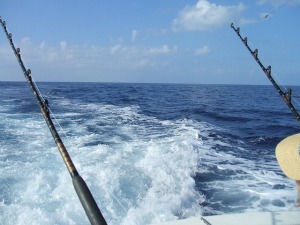 Is your fishing tour in less than 30 days from booking date the complete charter price is due immediately. 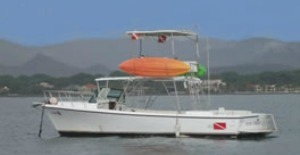 I’m interested in a shared Flamingo beach Costa Rica fishing tour? 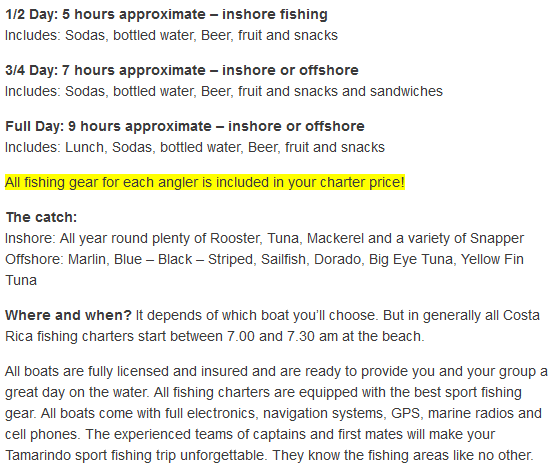 Sorry guys, but we do not offer shared fishing trips. 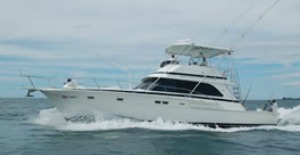 We tried to set it up, but this really is to difficult to find another couple who is interested in the same boat on the same day. 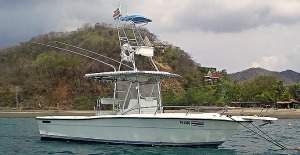 Do you provide really big boats for sport fishing Flamingo Costa Rica? If 50 ft enough for you? 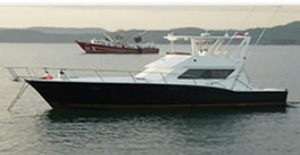 Then, yes we provide also big boats for your upcoming Playa Flamingo Costa Rica fishing trip. Please choose your charter above in the reservation form. I stay in Brasilito and wondering if you have a pick up service for your Playa Flamingo fishing? 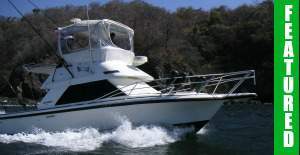 Of course, if you select one of the featured boats, we will pick you up and drop you off at your hotel or vacation rental in Brasilito, GRATIS. you made it happen. A great thank you from my 6 year old daughter. She had a great birthday. I know that it was very difficult to set up this vacation for us, because we asked you only a few days before. And that you found this beautiful hotel in Playa Potrero (including pick up service for fishing) in the easter week, was a great work. We had a great stay in this beautiful "pueblo". I definitely will use your service again. thanks for taking the time for the review. Nice to hear that you enjoyed your stay and especially the birthday from your little daughter. Let me know when I can help you again.